This acquisition rumor points to an increase in solar M&A and continued verticalization in the PV market. This is what a consolidating industry looks like. Sources have informed Greentech Media that independent power producer (IPP) Recurrent Energy is up for sale, and it's happening sooner rather than later. We have verified from other inside sources that the firm is indeed for sale. 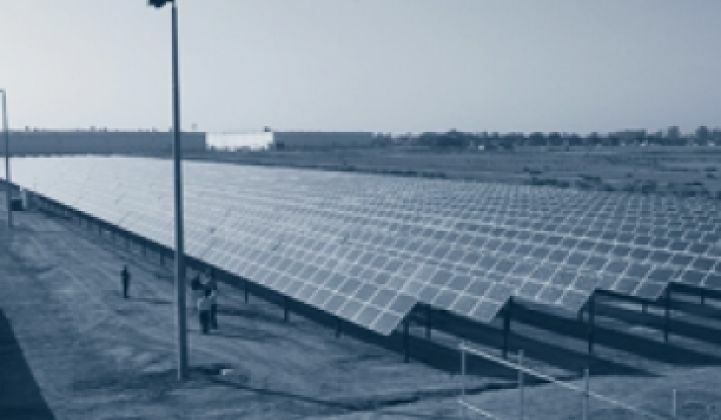 Solar project developers with strong project pipelines are a hot property. Owning a project developer or an IPP allows a firm such as, say, a solar module manufacturer to capture more of the solar value chain and provides a captive outlet for product. SunPower and Suntech have acquired a number of project developers, and even silicon manufacturer MEMC has looked to get vertical with investments in Tioga Energy and the acquisition of Sun Edison. Recurrent Energy uses Suntech panels on their San Francisco reservoir project. Recurrent Energy is developing a fleet of distributed-scale solar projects in North America and Europe. 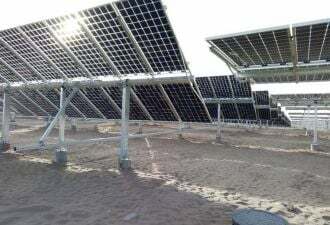 The VC-funded firm develops ground-mount and roof-based solar power plants that are interconnected at utility substations or on a distribution network. One of Recurrent's most prominent projects was a public-private project that just closed long term debt financing -- the 5-megawatt solar power system located at the Sunset Reservoir in occasionally sunny San Francisco, California. The company secured approximately $18 million for the project from Prudential Capital Group, which provided 24-year term debt financing. Recurrent Energy also has PPAs with utility Southern California Edison. The project will be one of the largest municipal solar power systems in the United States and will more than triple San Francisco’s total municipal solar energy output. It is expected to be fully operational by early fall of 2010. According to Recurrent's CEO Arno Harris, “We have more than 330 megawatts of distributed-scale projects in our contracted portfolio across North America and Europe." Recurrent has a pipeline of over 1.3 gigawatts of distributed-scale solar projects in development across North America and Europe. The firm also has projects in France, Spain, Canada and Israel. Investors in Recurrent include Mohr Davidow Ventures and Hudson Clean Energy Partners. Both investors declined to comment on this story.